← The Holidays Are Coming!! This is a yummy crock pot recipe I just tried for the first time, and it is REALLY REALLY good! 1. Chop the onion and garlic and rinse the beans. 2. Mix the chicken broth, salt, cumin, chipotles, and adobo sauce in the crock pot. 3. 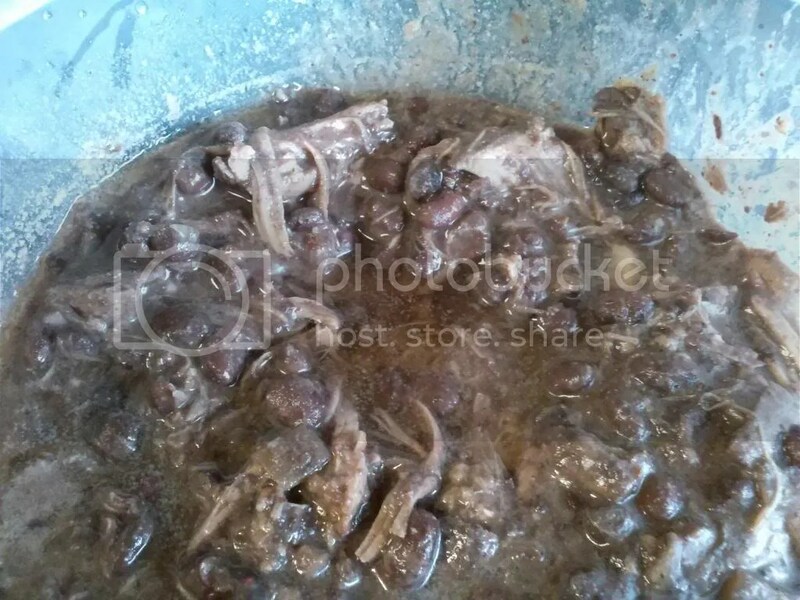 Stir in the beans and onions. 4. Add the pork and cook on low for 8 hours. 5. Remove the pork to a plate to shred and return to the soup to serve. You can garnish this with cheese, cilantro, or salsa. I served it with a salad made with the Et Tu Southwest Salad kit, which is also really good (and easy). My oldest son also wanted to eat the soup with tortilla chips. Posted on November 12, 2013 by brandymelissa	• This entry was posted in recipes and tagged recipes. Bookmark the permalink.